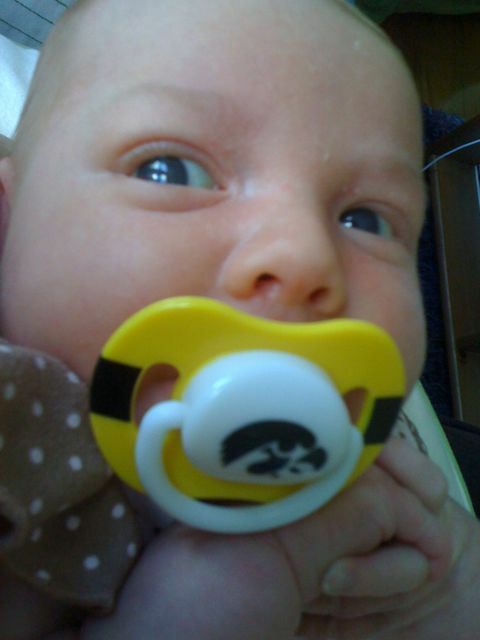 We don’t often give Adie a pacifier, but when we do, we also insinuate Iowa pride. The look she’s shooting me with baby daggers relates to my not nursing her on a constant basis. I think today is a cluster feeding day. That means having a very alert and hungry newborn.